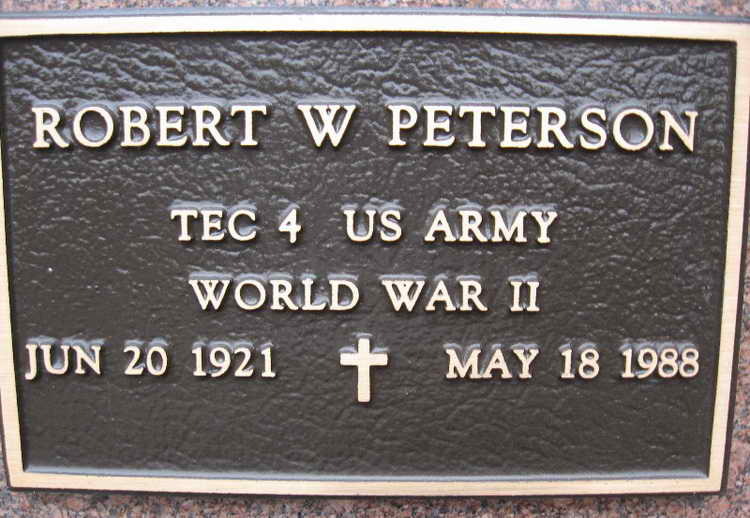 Inurnment marker for Robert W. Peterson in Section Col-1 Row H Site 522 of the Willamette National Cemetery, Portland (Multnomah county), Oregon. Robert enlisted at enlisted at Portland, OR on 23 October 1942 and was assigned to Hq Hq Company 508th. He was awarded the Bronze Service Arrowhead device for awarded for his participation in the Normandy assault.